Fasting starts from tomorrow - Thursday's fajr to be exact, so make ur intention/niyyah before then. "I never saw the Messenger of Allah (peace and blessings of Allah be upon him) so keen to fast any day and give it priority over any other than this day, the day of 'Ashura', and this month, meaning Ramadhan." Reported by Al-Bukhari, 1867 The meaning of his being keen was that he intended to fast on that day in the hope of earning the reward for doing so. Last edited by LailaTheMuslim; 19-09-18, 09:33 PM. 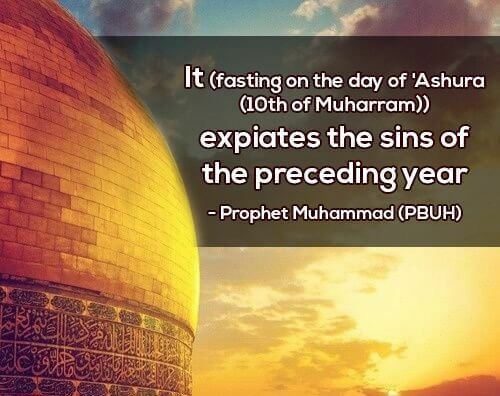 Bump I've edited a crucial fact that Ashura starts from tomorrow's fajr. Jazakullah khair for the sharing and reminder.